I feel compelled to share with you a news article posted in the Washington Post this past February about a massive herbal supplement scam uncovered at 4 major retailers. To summarize the story, the state of New York’s Attorney General Eric Schneiderman instructed GNC, Target, Wal-Mart and Walgreens to immediately cease selling a number of scam herbal supplements. Their investigation revealed that their best-selling supplements not only didn’t work, but were potentially dangerous. Every 4 out of 5 products (79%) had no DNA of the plants listed on the label or had various contaminants. 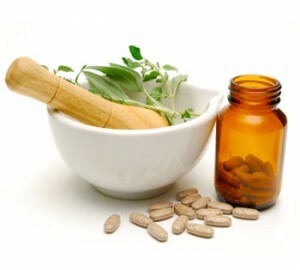 In total, only 21% of store-brand herbal supplements contained the plants listed on the labels. The truth of the matter is that you really don’t know what you are getting unless your manufacturer tests for purity, potency, and quality. This can be just a few tests or a fairly extensive process. However, this is truly what separates a health care practitioner brand from the rest of the field. You know what you are getting and can trust it has been tested for the safety of you and your family. Every brand carried at Oakway Naturals has been selected for its commitment to purity, potency, and for verifiably-accurate label claims. What this means for you is that you can rest assured that when you purchase from Oakway Naturals, what you are putting in your body is not only exactly what the label says but is also free of contaminants and made from the highest quality ingredients possible. 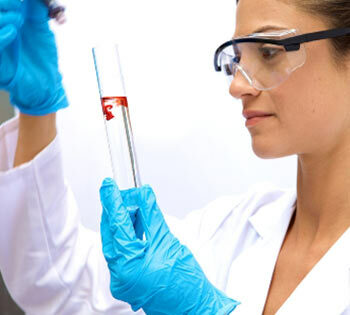 For example, two of our most popular brands, Pure Encapsulations and Metagenics, submit all of their products to 3rd-party labs for extensive testing. All ingredients and finished products are tested for potency, identity, microbial contaminants, pesticide residues, heavy metals (like lead and mercury), allergens, and a host of other adulterants. Other popular brands of ours like Douglas Laboratories and Thorne Research adhere to similar rigorous testing, making us confident that when you purchase these items you will be getting exactly what you believe you are getting. Our brands are better than these allegedly fraudulent store brands for more reasons than just purity, though. The brands we carry here also contain highly bioavailable forms of the ingredients on the label, meaning that it is the most efficient way to get your body the supplementation you are looking for. Remember that not all ingredients with the same name are absorbed by the body in the same way. For example, in an article a few months ago, I discussed the absorption of CoQ10 in its superior ubiquinol form vs. its inferior ubiquinone form. We know you care for your body, so continue watching your label and don’t settle for unverified supplements.